From fond childhood memories of having her father lead her around on a pony, to living on a horse farm, Jenny Fudge hit the horse lottery and is now giving back to the equestrian world as co-founder of GoHorse with her mother, Laurie Massaglia. “I’ve been in the horse boarding business for 20 years now and I’ve been lucky to have had exposure to horses all my life thanks to my parents,” Jenny said. 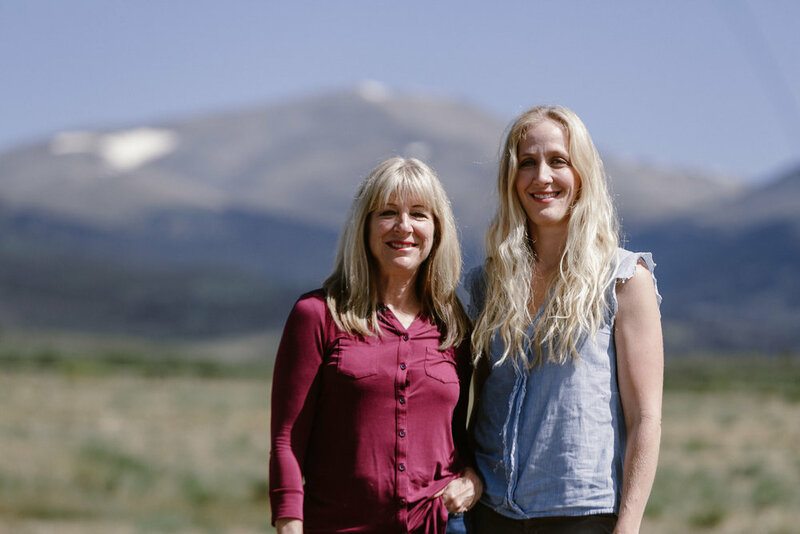 Combining Jenny’s day-to-day boarding experience with her mother’s business background, an entrepreneur in her own right, they came up with the idea for GoHorse because they were frustrated with trying to find resources and horse information online. “There was no central place to find everything,” said Laurie, “and it was time consuming to search, plus, by the time you did locate something it didn’t have enough information or it wasn’t updated,” she added. Two and a half years in the making, GoHorse, which officially launched in January of this year, is designed for every type of equestrian who is looking for overnight stalling, boarding, lessons, training and other horse services. The online experience was initially designed for the horse owner and rider, explained Laurie and they have also been holding focus groups with business owners of boarding facilities to help evolve the software. “That is the most important part is adapting the user experience for both parties,” said Laurie. In order to drive the content and experience, the focus is on consolidating all of the stables in the U.S. into a central listing site. In addition, it also includes horse businesses such as farriers, veterinarians, feed supply and more. They have located 8,400 stables of the estimated 50,000 or so nationwide. “If there is demand for a particular service, we will add it,” cited Jenny. Growing categories include equine photographers, vet and equine health practitioners including chiropractors. “We are currently figuring out the process for adding jobs and are planning a rollout of a trainer category shortly,” Jenny said. The robust 'search' filter displays stable information in an easy to view format. Jenny shared that they have full-time developers working on the app and more than 2,000 business owners who are using the product. “We have a healthy following on Facebook with 16,000 followers and a little over 1,000 followers on Instagram where we just became active in mid-June. “It’s a super likable and sharable product, highlighting barns around the country,” Laurie added. “Believe it or not, the ‘filter’ in the search function is a top feature because it is something everyone is familiar with but it hasn’t been put together like this before,” pointed out Jenny. One of the key aspects of their solution is to create a standard form for barns and service providers to fill out and in addition, to make sure the information is accurate and up-to-date. “All of the information submitted will be verified and after a certain amount of time reviewed to make sure it is current.” In addition to the ease of finding a stable based on location, GoHorse also can serve as an emergency resource network. There is also the ability to leave a review, establishing virtual word of mouth feedback. As a tight-knit community, we know the horse world runs on word of mouth and that experience matters. “GoHorse is our attempt to offer a digital word of mouth resource, and a one stop-shop for your horse needs,” stated Jenny. The software is free for users to search, no need to sign up and register to use the product. For barn owners and services providers basic listings are free, however in the future some features will only be available for monthly subscribers. When asked where do they think the horse world will be in 5 years as it relates to technology, Jenny explained, “Half of our customer base is over 50 and understand the importance of technology, but it might take them a little longer to embrace it, whereas the younger generation are extremely comfortable using it and are more open to how it will make their lives easier.” There are also many long-term positive aspects for their product as it relates to data. “The amount and type of data we collect opens the door to new ways of segmentation, analysis and statistics on the horse world, that we haven’t seen before,” she said. “At GoHorse, we have a lot of surprises in store, so stay tuned for a fun ride,” said Jenny.